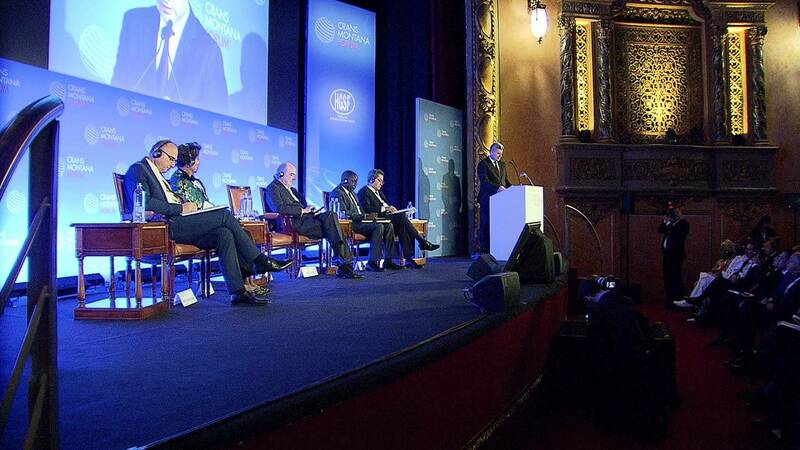 The terrorist threat is global, ongoing and unpredictable and people need to adapt to a new way of life: that was the theme of the Crans Montana Forum Conference on Global Security in Brussels. For the organizers, the challenge requires new policies in crisis management, the fight against corruption, migration and human rights. The conference came a week after the European Commission presented a package of anti-terrorism measures, including stopping would-be attackers laying their hands on bomb-making ingredients, doing more to counter radicalisation and boosting protection around public spaces. France is the leading the way. “I hope that the EU will adopt the proposition of French president Emmanuel Macron to create a European intelligence academy, and also, I hope, a European Public Prosecutor’s Office to bring together counter-terrorism investigations. France will be holding an international conference on the funding of terrorism in January. We will really need to implement the structures needed to trace the funding and the money-laundering,” said terror threat expert Georges Fenech. In response to the considerable means spent on propaganda by the so-called Islamic State, in particular targeting young people, the prevention of radicalisation is also one of the main priorities. Listening to the voices of ordinary citizens is crucial to improving dialogue and finding solutions said Farida Allaghi, a political and human rights activist from Libya. “It is about time that somebody stops in order to rethink, to see what went wrong, to evaluate, to really exchange information and knowledge, to respect the people, to listen to the people, and to bring in new players – the youth! I focus on that – I am working very closely with young people and with women in Libya,” she said. For many experts, Europe cannot win the fight against terrorism by turning into a fortress and closing its borders. Better migration management will be one of the biggest challenges of the next decades in order to deal with the millions of people expected to be displaced by war, poverty and climate change. The fight against corruption, another critical enabler of terrorism, was also top of the agenda at the forum. But for some countries, a culture of transparency and accountability is still a distant goal. Youth, migration, security – some of the core issues that will also be discussed at the upcoming EU-Africa summit at the end of November.